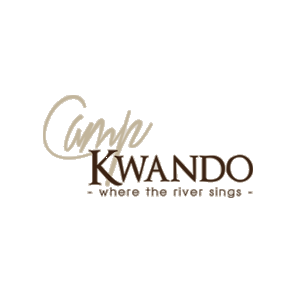 Nestled on the banks of the Kwando River, Camp Kwando invites you to come and explore the hidden treasures of an untamed land. 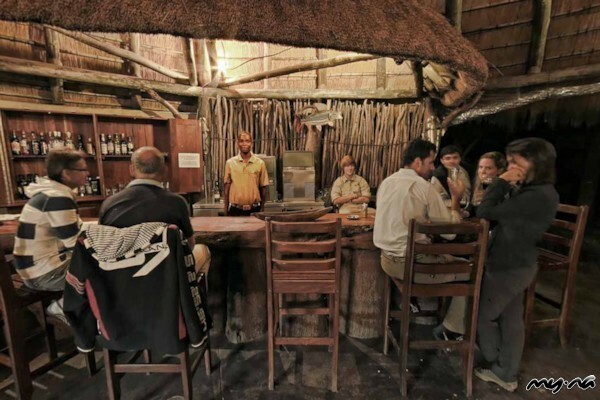 Capture the spirit of the African bush while sipping sundowners from the beautiful overhead deck and experience the thrill of the tiger fish and the hauntingly beautiful call of the African fish eagle. 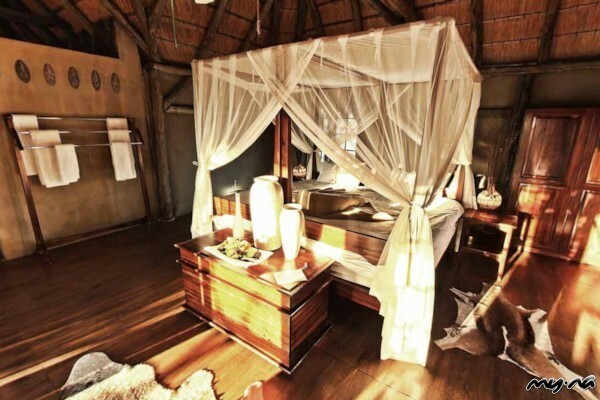 The island accommodates 12 thatched tents, each with two beds. 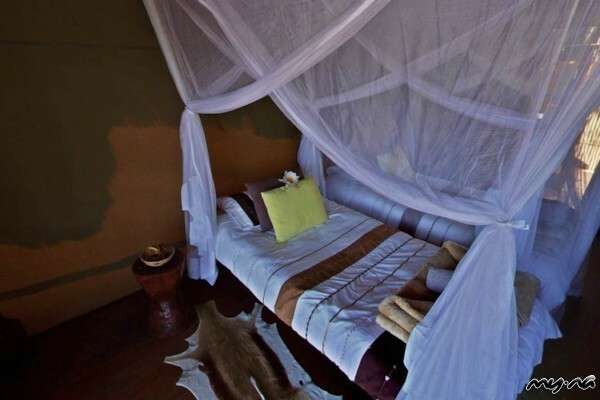 Every bed is equipped with a mosquito net. Built on poles with a deck overlooking the river, these bungalows allow you to do some fishing from the deck. 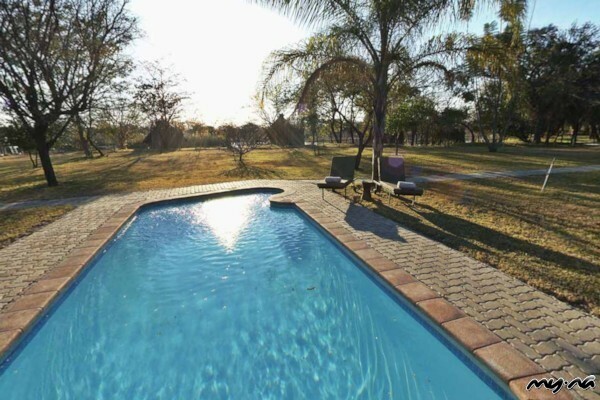 Every tent has an en-suite bathroom with shower, a toilet and basin with hot and cold water. These are open sky bathrooms that will allow you to enjoy the surrounding nature. Electricity is provided at key time by a generator. Bathrooms are lit by way of paraffin lights. The campsite is situated between the main building and the island. 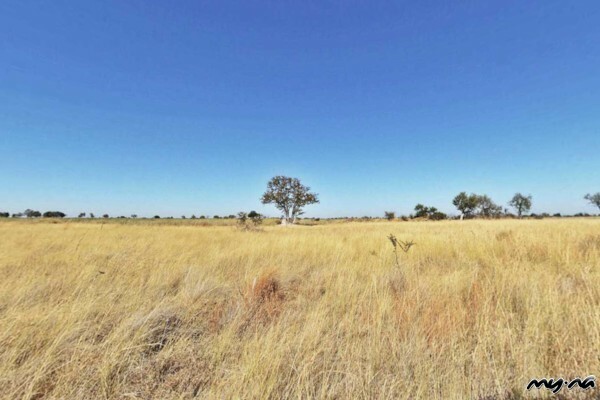 The surface is covered by grass and magnificent trees provide shade during the hotter hours of the day. The site allows for approximately ten camping spots. 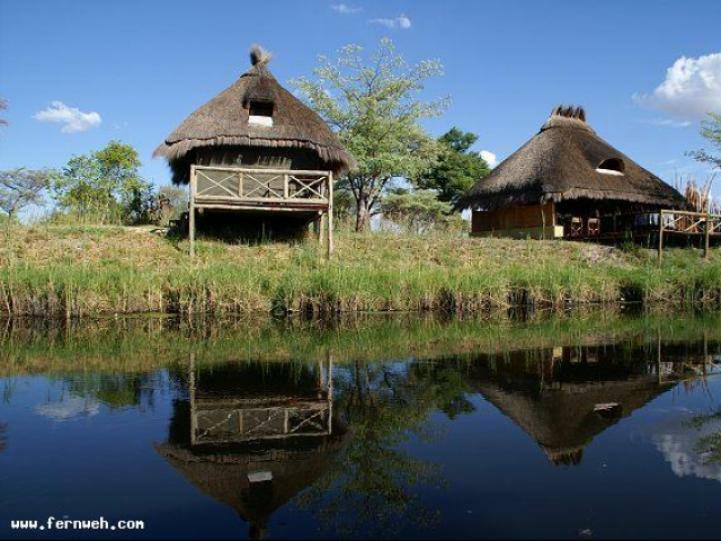 Four larger chalets on stilts are also available on higher ground, built on high poles, made of wood and canvas, along with thatched roofs. 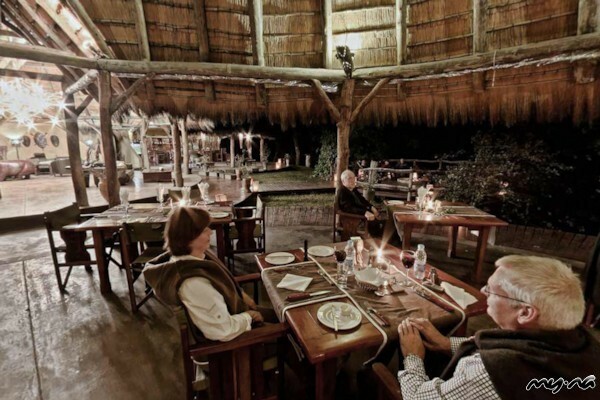 Conveniently placed in the middle of the trees, they allow for an incredible view of the Botswana plains. 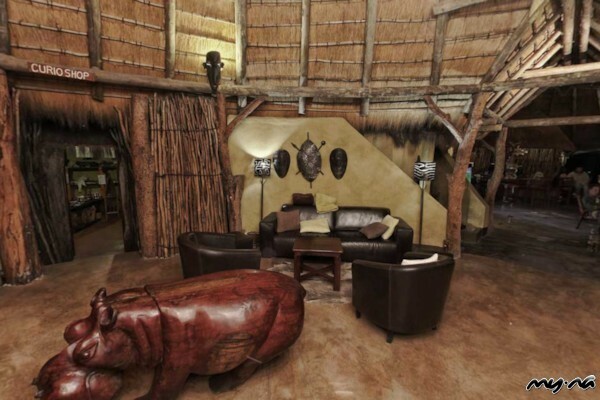 Each chalet has a large, stylishly furnished bedroom, a large en-suite bathroom and an expanding deck. Satellite phone for those travelling without cellphone.